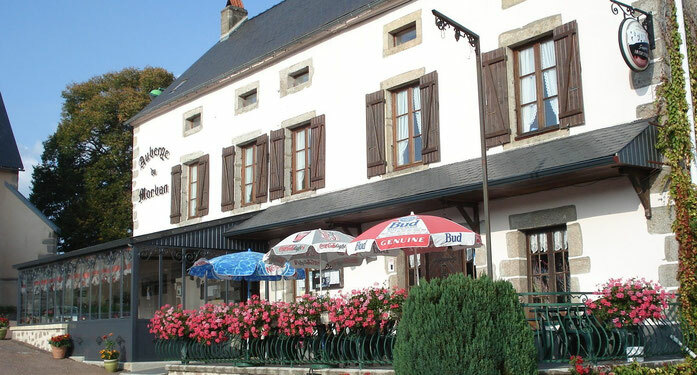 A charming stay in Morvan starts with good food and quality of room for our guests! Between Saulieu (Lac de Chamboux) and Lac des Settons on the banks of the river Ternin, discover a town proud of its heritage on the footpaths between granite, ferns and broom. Annual closure from December 19 . Reopening first Saturday,in march 2017! Happy Christmas and Happy New year to you! Free wifi, access to disabled persons in the restaurant, luggage transport on request for hikers, picnic takeaway. Catering takeaway order. The nearby pharmacy is open from Monday morning to Saturday. This is opening: the Morvan nurses Museum and Children assistance is expected to open to the public with a space dedicated to the writer Jean Genet. Beaujolais Nouveau , Pink or Red, are comming this thursday; drink it with moderation, please! Taste the Deere on Cranberries sauce, or our Cabillaud on Basilic sauce. Don't forget to make a reservation at the restaurant, please! We'll be closed from 19th december till 3th march 2017.